Plot: Without giving anything away, the film is about a down on his luck gambler (Reilly) who meets an older, grifting gambler with a shady past (Hall). Hall takes Reilly under his wing and helps him out, but you wonder why he would do this to someone who is (seemingly) a stranger. Why you should watch it: This is Paul Thomas Anderson's first big screen film. While you may be gun shy from some of his other films, Magnolia comes to mind, this is a fantastic debut. First of all, it's got Philip Baker Hall! Mr. Bookman! Anything he stars in is instantly gold in my book. Second, John C. Reilly hadn't become Mrs. Will Ferrell yet, so he is still fresh with his acting chops. Gwyneth Paltrow wasn't Mr. Coldplay yet, and she was still a fine young up-and-coming actress. Samuel L. Jackson is quietly excellent as a simmering antagonist who knows Hall "from Atlantic City." Anderson's films usually have quick, smart dialogue, quality acting, and interesting (if not sometimes confusing, again - Magnolia) plot lines, and this is no different. However, the film is almost linear in its straightforward storytelling. 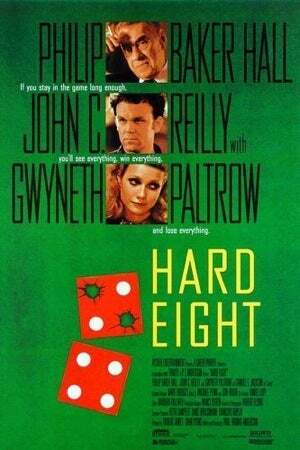 Anderson made his first real splash with Boogie Nights, a film I believe will stand up to any great movie made in the 90s, but he started with Hard Eight from a short film he'd made earlier, and it is an outstanding start to his curious writing and directing career. This film doesn't really get talked about much when Anderson's work is discussed, but I can't recommend it enough. It's a fantastically character-driven piece, and you'd be wise to queue it up this weekend.